Amazingly, while in the car on the way up we heard about this Red Sox newbie and Helaine predicted he’d ruin our day hitting for the cycle. He was 2 for 4 with a double plus the homer. Close enough. It’s a week early, but I got my Father’s Day gift from Helaine this weekend. 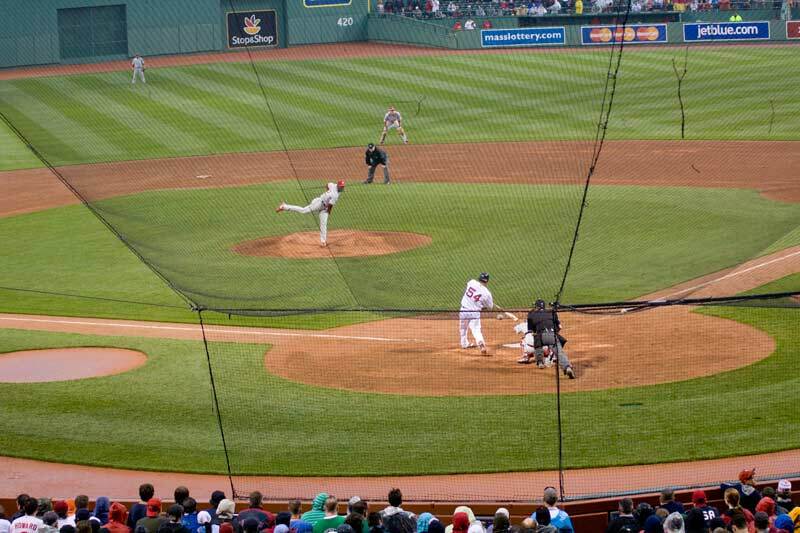 We drove to Boston and caught Saturday and Sunday’s games: Phils versus Sox. In spite of an ugly loss Saturday the trip was great. 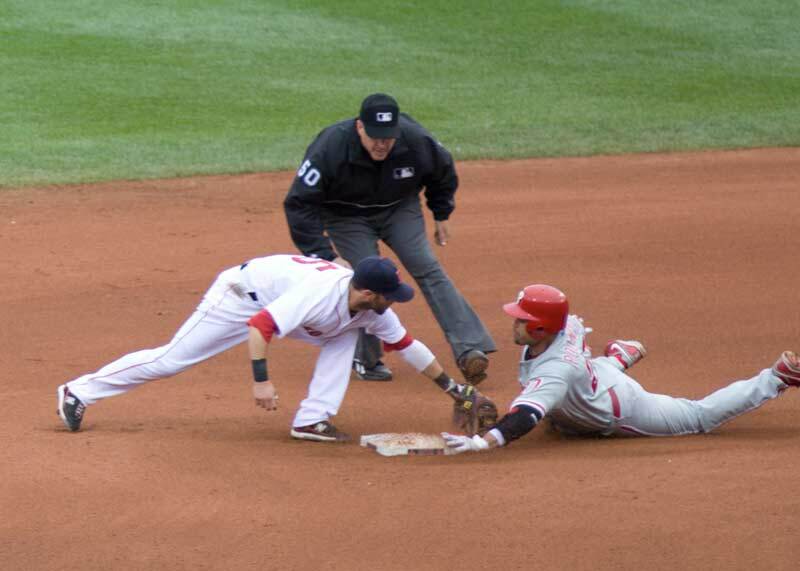 The Phils held on to win 5-3 on Sunday. 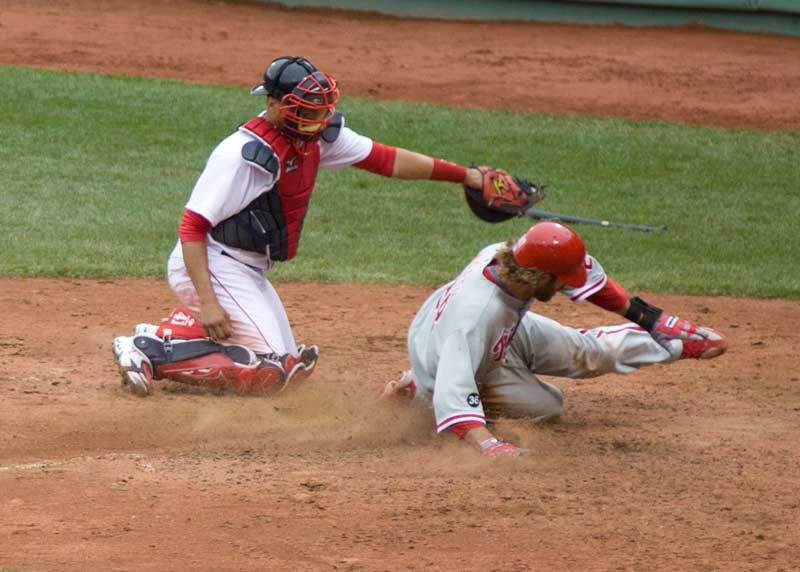 Saturday’s game was marked by a grand slam home run from a player making his major league debut, Daniel Nava. He did it on the very first pitch! Amazingly, while in the car on the way up we heard about this Red Sox newbie and Helaine predicted he’d ruin our day hitting for the cycle. He was 2 for 4 with a double plus the homer all while wearing a number usually reserved for non-roster pitchers during spring training–60. Close enough. 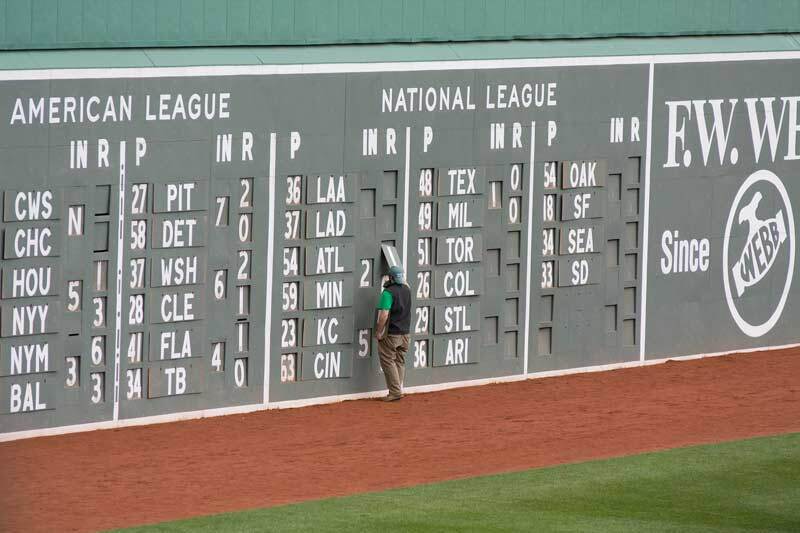 It’s tough to describe what makes Fenway so special. Part of it is size. 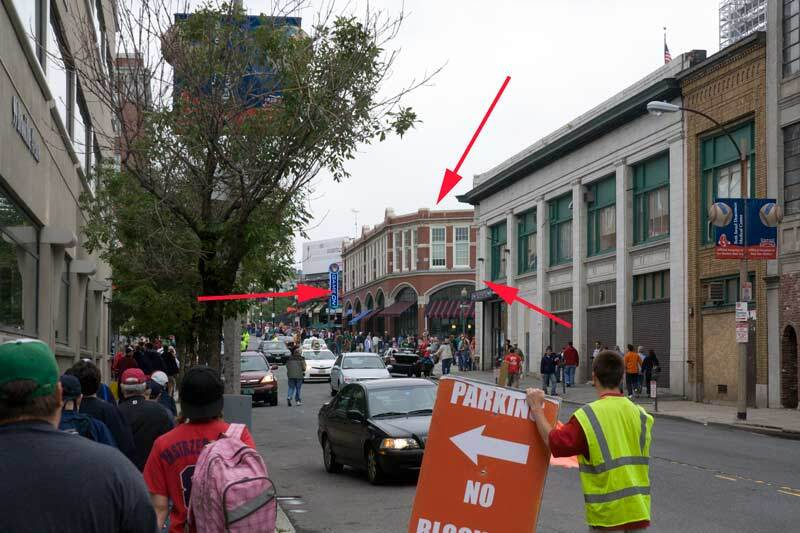 As you walk down Brookline Avenue toward the stadium other than the crowd there’s no sign a major sports venue is near! Even the crowd’s not so large. The stadium only holds around 37,000. Once we got to the stadium the vibe couldn’t have been better. We came carrying a small soft sided cooler with bottled water ($3.75 per bottle inside), my camera bag with lenses and two Subway sandwiches. No problem. Come on in. This stuff is allowed. The security guards and ticket takers were all smiling and in a good mood. Inside the no hassle policy continued though we wore Phils shirts both days. There were plenty of Phillies fans, many of whom came early enough to watch batting practice. The stadium itself is a lovingly restored antique. The new “throwback” stadiums are throwing back toward this! The main scoreboard is fully human powered! Many of the painted ads are limited to green and white. They fit in rather than stand out. That’s a nice touch. Though some recorded music is played there is also the traditional organist. He specializes in taking the soul out of even the most soulful songs. Saturday’s seats had a pole directly between me and home plate! Uh oh. Luckily a seat was opened and we slid left. Alas, behind home plate means behind the protective screen. It’s just not good to be behind screen. Oh–forget picture taking too. Sunday we sat in the grandstand down the third base line. These seats were spectacular with perfect sightlines in all directions. One doesn’t question gifts, but I think the better Sunday seats were the cheaper seats. It rained a good part of Saturday’s game and stayed gloomy for Sunday. It made no diff. We were under cover and protected. I wouldn’t have complained had it been a little warmer than the 60&#176s we sat through both days. 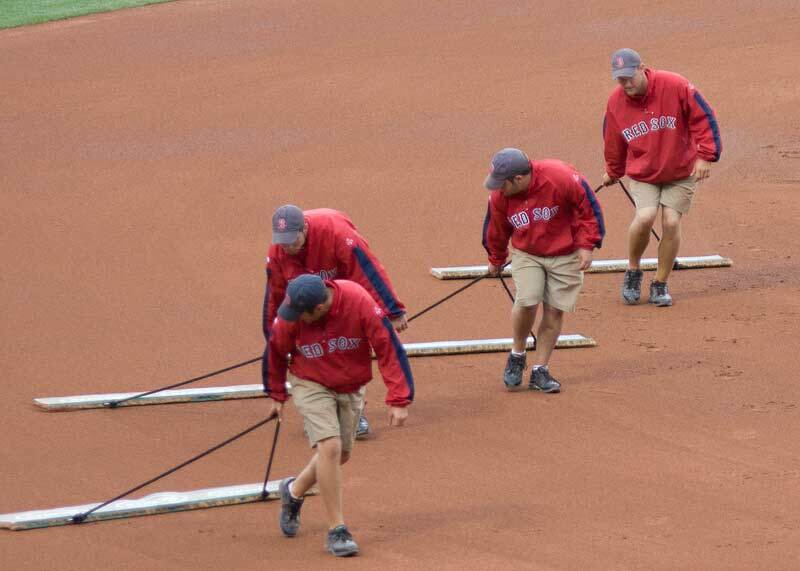 I was extremely impressed by the Fenway grounds crew. It goes without saying a big league field will be well maintained but these guys are animals! On Saturday’s game we watched them groom the infield three or four times valiantly fighting and winning against the rain. They were out with shovels and rakes and bags of that beautifully red infield dirt. 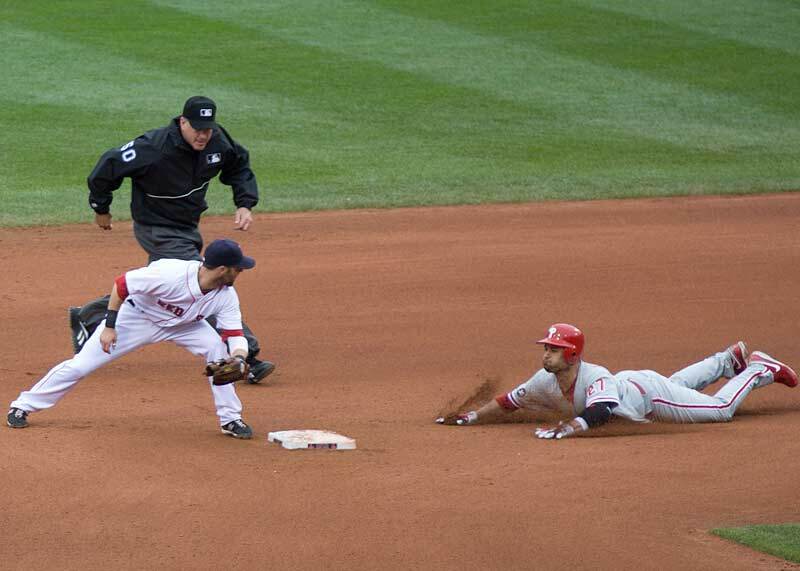 They poured enough dirt that the basepaths should have been elevated from the rest of the field! I asked Helaine if she noticed how many people were wearing team jerseys and t-shirts? It’s grown over the years. Major League Baseball’s merchandising is very effective. 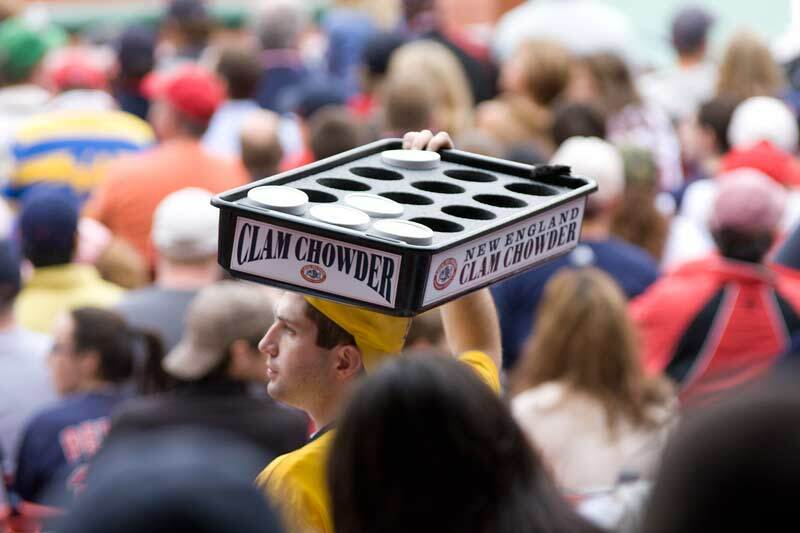 What did bother us was one food item sold by vendors–New England Clam Chowder. I love chowder, but this doesn’t seem like the right place. On top of that it’s $7.50 for a small cardboard bowl! Finally a liquid more expensive than ink jet printer ink! As we were walking to pick up the car Helaine asked if I’d like to go on a Phillies road trip again? Absolutely. Write-ups like this,as well as just about anything worthy of your blog is why I keep coming back dat after day. Thanks Geoff. Sunday’s game was a disappointment with a couple of blown calls, but still a great day to be at Fenway! Great action shots Geoff. As expected. Great action pictures! And you can brag for all times having been at Nava’s headline making game — as he became just the 4th player ever to hit a Grand Slam in his first-at bat. Even rarer, he did it on the first pitch he saw. 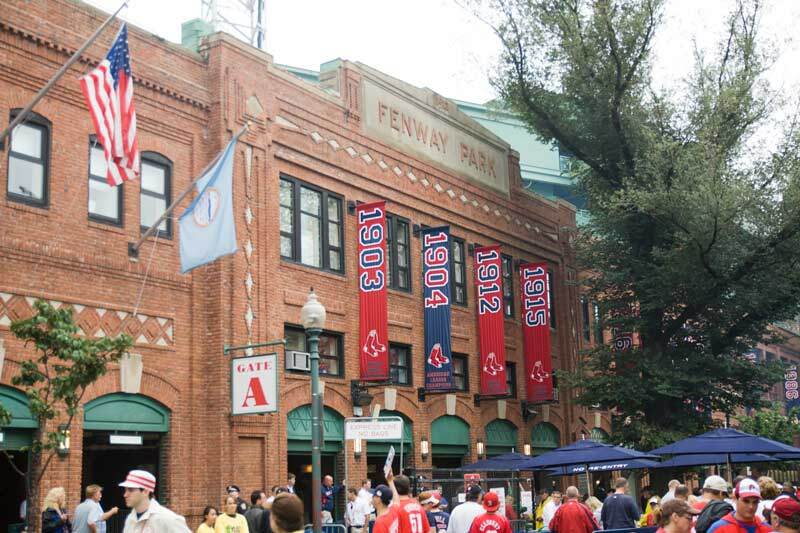 Previous Previous post: Hey AT&T–What’s The Deal At Fenway?